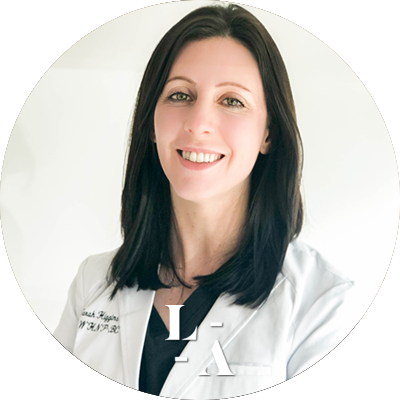 Sarah is a board-certified Women’s Health Nurse Practitioner and oversees clinical operations of LaserAway’s Orange County locations. She has 12 years of nursing experience, and six years of experience specializing in aesthetic dermatology. She completed her Bachelors of Science in Nursing from the University of Pittsburgh and continued her education to obtain a Masters of Science in Nursing, with a graduate program focus as a Women’s Health Nurse Practitioner. With a desire to further her education and contribution to the field of aesthetic dermatology, she obtained her Doctor of Nursing Practice (DNP) from Grand Canyon University. Her DNP project “Use of a Time-Out in Aesthetic Dermatology to Decrease Adverse Skin Reactions” focused on increasing patient safety during laser and light-based procedures.